Some of you might get confused when choosing the best way to make your kid bedroom looks comfortable.You might also wonder what design is suitable for it. One way to determine it is by adjusting it with your kid's preference or desire. It will be better if you involve them in selection the design of their bedroom. So that it suits with their willing. Here are some tips for you to make comfortable kid's bedroom. You may start about which furniture would be there for in your kid bedroom. Make sure that your kid will like your choice. Then, if you are confused for choosing the furniture, you could involve your kid in the selection of the furniture so they will feel satisfied. Besides that, you have to make sure that the bedroom must contain the basic furniture. For instance, bed, wardrobe and desk. If you want, you may add interesting carpet for the floor. It can help them to relax on the floor and doing many activities in the carpet, such as playing the toys and reading the carton. But you have to consider that all of furniture you use are safety for them. 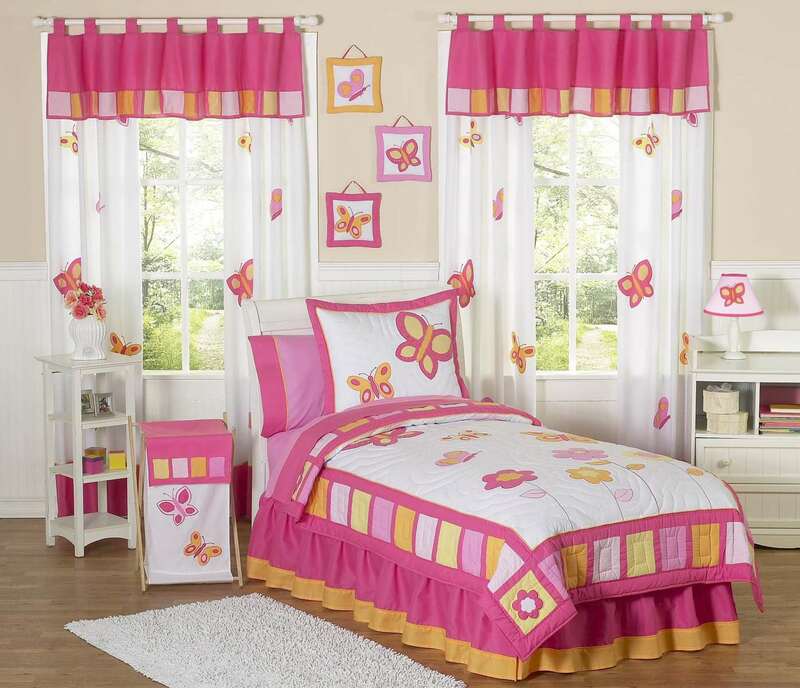 As for the kids, it would be much better when their rooms are decorated with bright colors. These colors will give the comfortable impression. If you want the modern atmosphere, you could use black and white combination. This combination gives natural feeling. This color could be applied to wall and floor. But if you have narrow room, do not apply this color. It makes your kid bedroom looks narrower. The others idea is using white color for the floor. It makes the floor will be clean and comfortable. For your kid, you should put interesting doll or safety toys. It can beauty the kid bedroom. But, you have to remember that too many toys in the room will make the bedroom looks crowded. Usually, your kid put their toys in every place. It makes their room looks untidy and not clean. So you must overcome it by adding the toys storage well. This storage will help you in store many toys. There are many types of storage that can be used. They are linen tower, box storage and toy chest. You could choose the suitable storage. It depends on the size of bedroom. If the size is not quite large, you should use linen tower. It does not spend too many areas of room.